A local paraglider made a forced landing in Death Canyon Wednesday afternoon, July 10, triggering a search and rescue operation in Grand Teton National Park. Dispatchers received a call for help at 4 p.m. for Rebecca Bredehoft, 29, of Jackson, Wyoming, after she took a hard landing about 4.5 miles up canyon from the Death Canyon trailhead. Bredehoft sustained serious injuries during that landing. Bredehoft, an expert paraglider, and a companion launched from Teton Village intending to glide north over the Teton Range before returning to land at Teton Village. While she was over Death Canyon, Bredehoft lost her thermal lift causing a forced descent to the canyon floor. Hikers, who witnessed her descent, assisted Bredehoft in moving her paraglider and other gear down the canyon trail where she subsequently met park rangers responding to the scene. Grand Teton National Park rangers and a Teton Interagency contract helicopter flew to a landing zone about a half mile above Bredehoft’s location in Death Canyon. Once rangers arrived on scene they provided emergency medical care and prepared Bredehoft for a short-haul evacuation from the canyon to the valley floor. 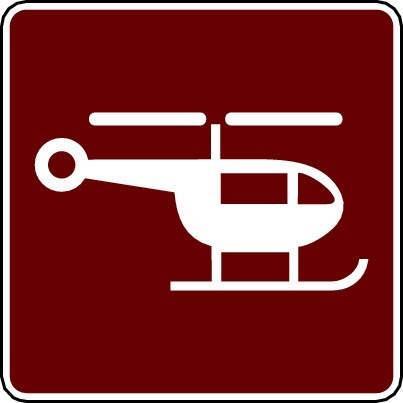 With a ranger attending, Bredehoft was short-hauled in a litter to a landing zone at the historic White Grass Ranch where she was met by a park ambulance and transported to St. John’s Medical Center in Jackson. Rangers remind park users that taking off or landing by a paraglider, hang glider, hot air balloon or other airborne means is not permitted in Grand Teton National Park. People who chose to engage in these activities are reminded that the responsibility lies with each individual to ensure that they can make an appropriate landing outside the park boundary. (Note: Originally posted 7.25.12)This climbing season is turning out to be a deadly one for the Teton range. Over the weekend, a California climber became the latest fatality, bringing the number of dead to four so far this year. Below is part of the National Park Service release on the accident:Mountain Climber Dies from Fall on Middle Teton Date: July 23, 2012A climber from California fell to his death on the Middle Teton in Grand Teton National Park in Wyoming while descending on Sunday, July 22, according to National Park Service officials. Justin Harold Beldin, 27 of Benicia, and two climbing partners had summited the 12,804-foot mountain and were beginning to down at about noon when the accident occurred, officials said. Another group of climbers near the summit of the Middle Teton saw Beldin fall from the Northwest Couloir side of the ridge that separates it from the Southwest Couloir. They hailed Beldin’s companions — who were already working their way down from the summit via the Southwest Couloir and were unaware of the fall. A member of the second climbing party called the ranger station, which summoned a Teton Interagency contract helicopter. Rangers saw Beldin during that over flight and determined that he likely suffered fatal injuries in a fall of approximately 1,000 feet. An approaching thunderstorm forced the helicopter to land and wait for better weather. Unfortunately the storm worsened, and weather continued to delay recovery efforts until Monday. At about 10:30 a.m. Monday, four rangers reached the landing zone at the Lower Saddle of the Grand Teton by helicopter and climbed to Beldin’s body to prepare an evacuation. Beldin, a California native, had been living in Victor, Idaho, since April and working in Jackson, Wy. Beldin carried an ice axe with him on the climb; however, he was not wearing a helmet, park officials said. The Middle Teton is one of the most popular climbs in the Teton Range and is often reached via the Southwest Couloir. The rock climbing section of the Northwest Couloir is rated a 5.6 on the Yosemite Decimal System-a set of numeric ratings describing the difficulty of climbs. There is also a snow and ice section of the couloir that is rated a 3 on the Alpine Ice numeric rating scale.